Beeswax is a natural product of nature that we would have to give credit to the honey bees: it takes ten pounds of honey to make a pound of beeswax! Beeswax has been utilized over history for different purposes and a variety of niches, from paintings to Paschal candles. 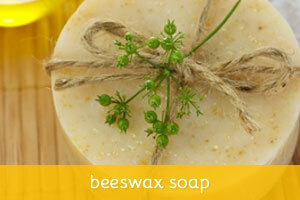 Today, there are multitudes of uses of beeswax could be encased in a soap. It is known for locking in moisture inside the skin. Beeswax can keep the skin supple and soft. You could say good bye to dry and cracked skin. Beeswax also covers the skin with a film coating once applied. This then protects the skin and averts damaging factors in the environment. Antibacterial and anti-inflammatory are some of the innate properties of beeswax. Beeswax contains the natural healing properties of honey. 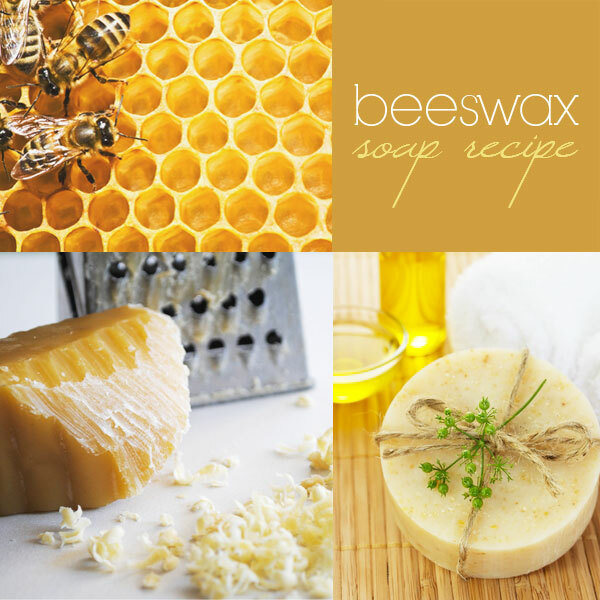 This makes beeswax in soap a good soother of rashes and could mend skin problems. It also which makes it a healing adjunct as fighting bacteria is a main step in avoiding further exacerbation and infection of the skin. Since it has a very low irritation and allergenic potential, it is safe to use. It could be recommended to those who have sensitive skin, and those not akin to over the counter and chemically heavy products. Furthermore, it does not clog pores, which is also a preventive step. Blocked pores leads to trapping of oils and dirt in the skin, which causes inflammation and infection. 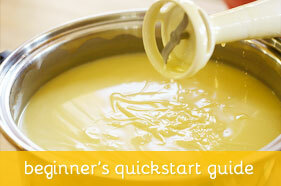 Heat oils to 150° F. Add Beeswax (you can grate it, chunk it, pre-melt it). Cool to 115° F. Lye and water to about 110° F. Add lye/water to oils, at light trace, add the honey. Stir till well blended. Pour no more than an inch deep. Cover with Saran type wrap prevents soda ash). Don’t wrap with a blanket, just put a cookie sheet over the top. 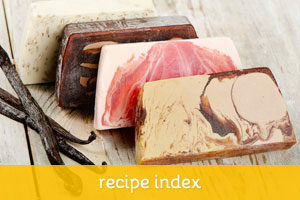 If you haven’t made soap before, this recipe could be rather challenging with the beeswax and the honey. I’d also limit the honey to 2 tablespoons to avoid overheating the soap, as this will get warmer than soaps without honey – that’s why there’s no need to insulate. The honey will heat this up enough. If you would like to adapt other recipes to use beeswax, here are some things to consider: some people add it to their recipes to help make the bar harder and/or to help prevent ash formation. 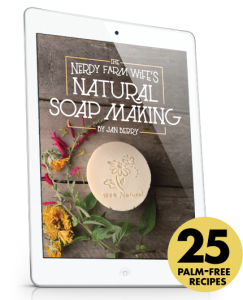 In soap making, you can simply substitute one of the hard oils (coconut, palm, palm kernel, etc) for the beeswax – just be sure to recalculate the lye amount. Beeswax melts at very high temperature and could conceivably create a false trace in your soap mixture, so be vigilant. Adding beeswax makes your soap harder and last longer, but using too much of it can cut way down on the lather your soap makes. If you add too much beeswax, there will be no real lather to speak of and while it may last longer in the shower, it’s not worth the swap for lather. How much you can use before having problems depends on your basic recipe. Just be aware any amount of beeswax can accelerate trace. How much it accelerates trace depends on how much you use – though about 1/2 an ounce per pound of oils is a good amount to consider.